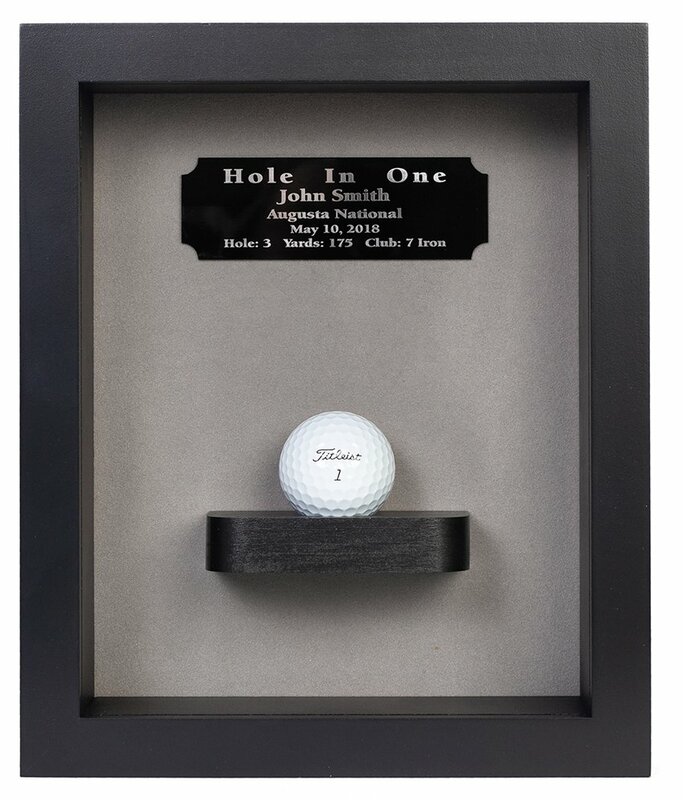 This great looking golf ball display is made of solid walnut with a grey velvet background and an acrylic front. 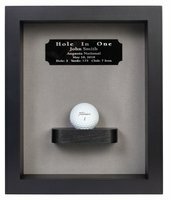 Includes ball shelf and engraved plate. Can hang on wall or sit on shelf. Available in Black and Walnut finishes.